Mississauga, Ont – The Vancouver Athletic Commission has confirmed that its sanctioning body has given the green light for up and coming Ontario MMA referee Brian Beauchamp of Mississauga, Ontario to shadow Referee Herb Dean at UFC 115 in Vancouver. With the UFC pushing hard to legalize MMA in Ontario and realizing that Ontario will need competent officials, a request was put in to assist and attend the event. This will be the second time that Beauchamp has been mentored at a UFC event. Beauchamp attended UFC 107 Penn vs. Sanchez in Memphis Tennessee and worked under Mario Yamasaki. 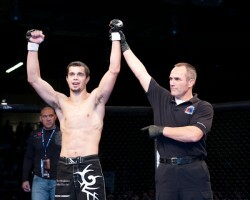 Beauchamp, who has studied under sorbets “Big” John McCarthy and graduated from his COMMAND referee course, has officiated under the Maximum Fighting Championship (MFC) banner in Canada as well as XKL , KOTC, PFC, CFL and XCC. and has designs on throwback jerseys moving into the under pantheon of elite MMA referees. He is a Black Belt in Judo ,and a former member of the Canadian National Judo Team , as well as a Brown Belt in Brazilian Jui Jitsu and 4 time World Masters BJJ Champion. Beauchamp states “ Coming from a province were MMA is illegal , it is definitely hard to get in as many bouts as I would wholesale jerseys like , I am currently licensed to referee MMA in Canada and Michigan, Indiana, Massachusetts , California and Washington DC. and I mostly travel state side to get my experience, however I have been trained by some of the best referees in the world in “Big” John McCarthy, Herb Dean and Mario Yamasaki and I am doing everything humanly possible to be a professional, consistent and knowledgeable referee with my main focus being the safety of the fighters”. Tagged Brian Beauchamp, Herb Dean, UFC, “Big” John McCarthy. Bookmark the permalink.